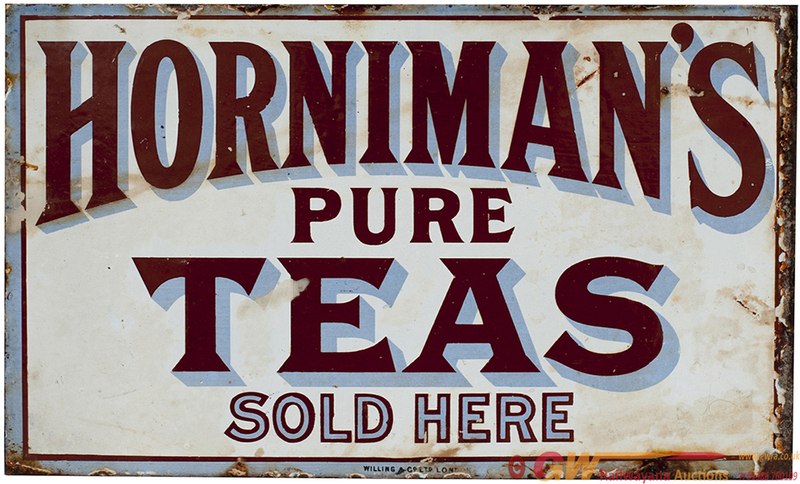 Advertising enamel sign, double sided with wall mounting flange, HORNIMAN'S PURE TEAS SOLD HERE. One side is in good condition, the other has been over painted white which would strip off. Measures 15in x 9in.